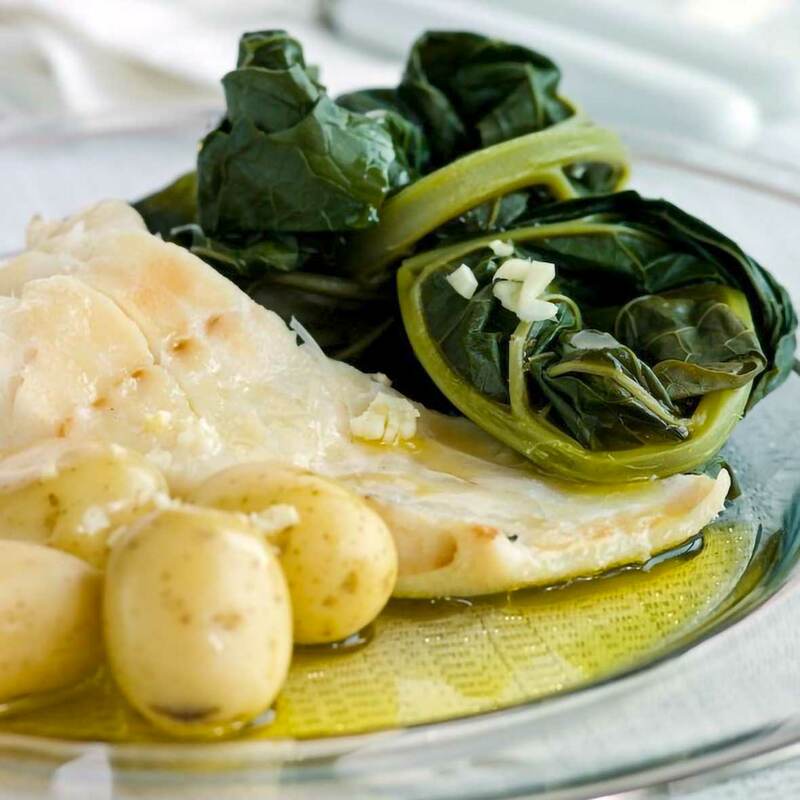 This Portuguese Christmas Eve cod, called bacalhau de consoada, calls for salt cod, potatoes, cabbage and hard-boiled eggs. it’s a simple, humble, traditional dish. 1. Rinse the cod under cold running water to remove any surface salt. Place the fish pieces in a large nonreactive pot, cover with water and refrigerate (covered) for 24 hours, changing the water several times. 2. Pour off the water, and refill with enough boiling water to cover the fish by several inches. Cover the pan with a heavy dishtowel and leave the cod to soak in the hot water for 30 minutes. (If the fish isn’t cooked fully, simmer gently until finished.) Drain the cod, and remove any bits of skin or bone. 3. To make the sauce, bring the oil and garlic to a boil in a small saucepan, remove from the heat, add the vinegar, beat well and serve in a sauceboat. All these items must be cooked at the last minute, just before serving, so as to be brought to the table at their best. They are served on big platters, separately. 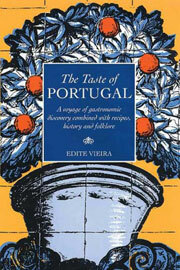 Bacalhau da Consoada| Christmas Eve Cod Recipe © 2000 Edite Vieira. Photo © 2016 ReceitasNaBimby. All rights reserved. All recipes and photos used with permission of the publisher.